Who doesn’t love a good beach day? The warm sun on your skin, splashing around in the water for a bit, enjoying a picnic with friends and family. Doesn’t get much better than that, right? Now, when it comes to beaches, most people have a few hot spots in mind. The vast miles of sand in Florida, or the fun surfer’s beaches of California, or even the cold invigorating waters of New England. But did you realize that the Midwest has some pretty good beaches too? Sure, they aren’t quite the palm trees and warm waters of the tropics, but there are plenty of destinations across the Midwest that are perfect for a day at the beach or a weekend getaway. 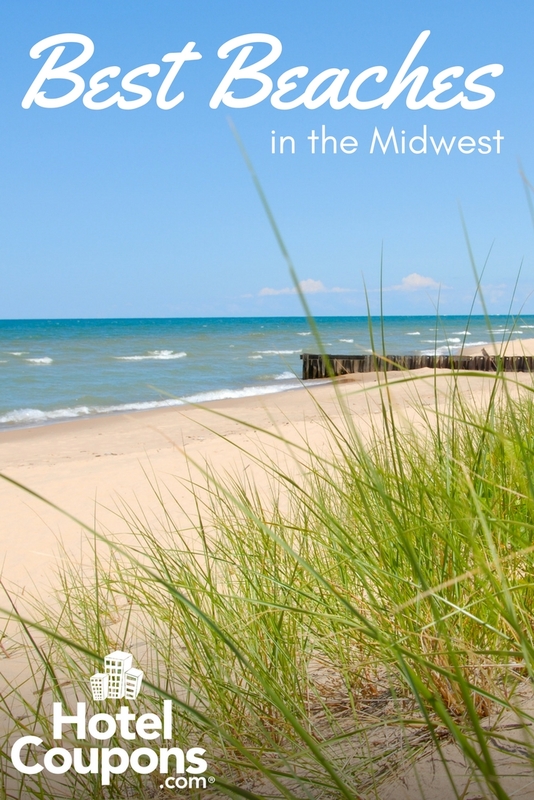 That’s what we’re going to share in this post, some of our favorite spots to win the title of best beaches in the Midwest. 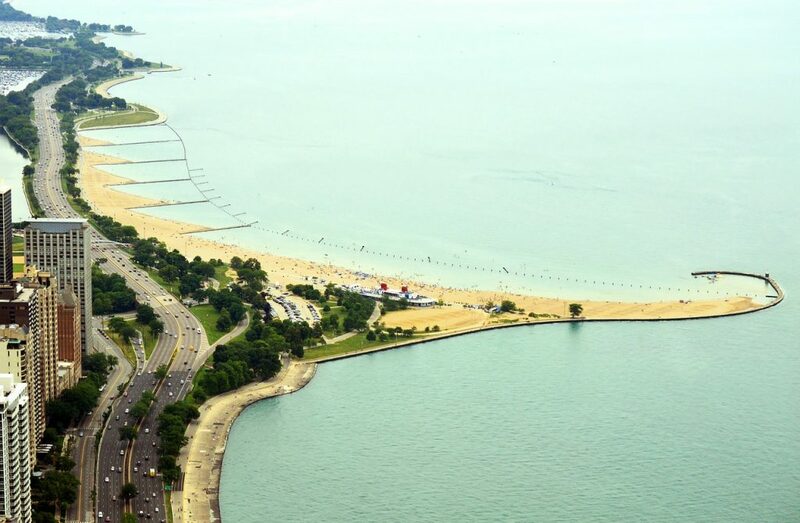 Oval Beach has the proud distinction to be named the ‘best beach in the Midwest’ by some publications, including the Chicago Tribune. Once you spend any time here, it’s easy to see why. This beach is a family friendly paradise. Visitors can enjoy the pristine water and sand dunes and plenty of available rentals for water sports. Visitors will also love the nearby Saugatuck Brewing Company, the perfect spot to cool off after a hot day on the beach. If you’ve ever been to this part of Wisconsin, you’ll understand why it’s called the “Cape Cod of the Midwest.” Door County has 300 miles of beaches and waterfront tucked along varies coves and inlets dotted with lighthouses. Here, you have plenty of options to explore. Scuba divers and underwater photographers will love Cave Point, County Park. For more family-friendly options, Whitefish Dunes State Park is a great bet. And paddle sports enthusiasts will enjoy visiting Rock Island State Park. 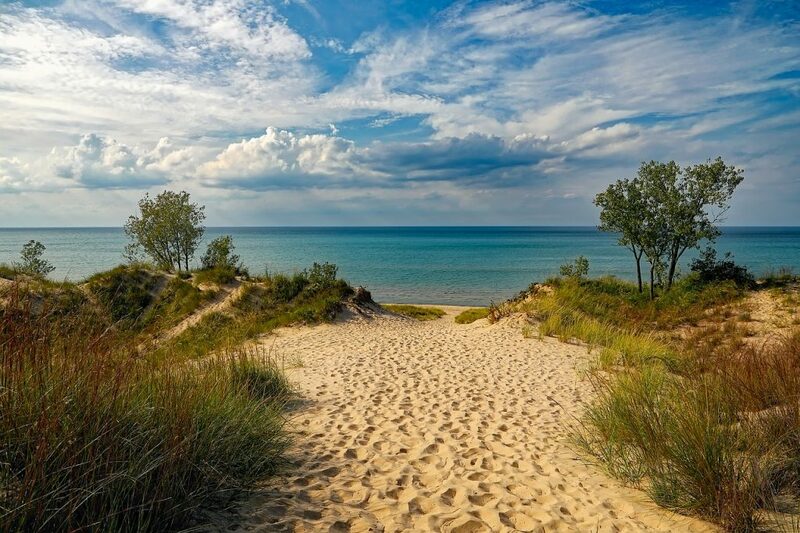 One hidden gem in the National Park system has to be Indiana Dunes National Lakeshore. Located across both Chesterton and Hebron, Indiana it offers 15 miles of lakefront spread across sand dunes, marshland, and pine forest. The dunes offer more than just beaches. Visitors can camp here spread across a number of campgrounds. And there are hiking trails to enjoy too. The area around Traverse City, Michigan has been gaining in popularity over the years. But, still one of the most popular draws to the region is the beach. Sleeping Bear Dunes is right on the shores of Lake Michigan. The dunes can rise over 400 feet high but don’t worry, there are shorter and more manageable ones too. The other big feature of this area is the beach is perfect for swimming. The waters are clear and calm, which makes it great for families. There are very few major metropolitan cities in the country that can claim a great beach inside the city limits. Thankfully for Chicagoland residents, there is North Avenue Beach. When the warm weather hits the Midwest, this beach becomes a prime hot spot for locals and tourists alike. This sandy stretch of beach features volleyball courts, rentals, restrooms and changing facilities, and plenty of lifeguards on patrol. No matter where you head for sun and sand, you can’t miss with these Midwestern beaches.